Brand New with Tags, Never Worn! 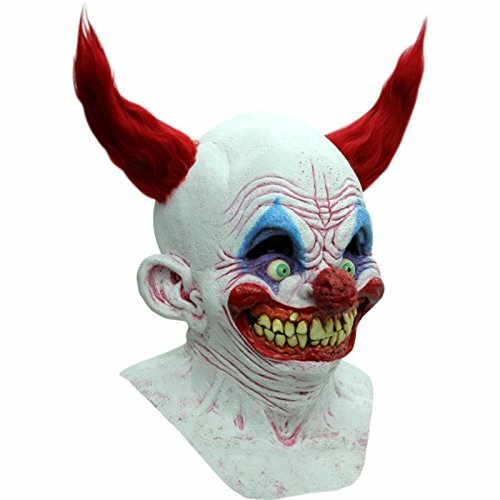 GHOULISH PRODUCTIONS Chingo the Clown Latex MaskChingo is so happy to scare all the little kiddies this Halloween he is grining his evil grin from ear to ear! This deluxe quality latex mask is a full over the head mask that comes down lower on the neck. Complete with red clown hair. Thank You For Looking. We Ship Worldwide!! International customers please be aware that we will not responsible for your customs fees if any. Be sure to add me to your favorites list! ~When will my package ship out? View More In CPR Masks & Shields.